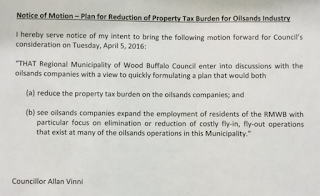 Councillor Vinni tabled a notice of motion at last night's Wood Buffalo Council meeting that essentially is opening a door that has been closed for a long time, potential tax reduction for industry. However, the idea is a quid pro quo arrangement with the trade being the elimination or reduction of fly-in, fly-out (FIFO), a situation which sees thousands of workers being flown directly to their work sites where they live in camp. (b) see oilsands companies expand the employment of residents of the RMWB with particular focus on elimination or reduction of fly-in, fly-out operations that exist at many of the oilsands operations in this Municipality." Looking at the comments that have already poured in after posting the text of the motion, it is clear to see this is going to be a complex dynamic to redesign in a way that is win-win-win. Companies have invested millions in FIFO infrastructure: landing strips, terminals, and airline contracts. 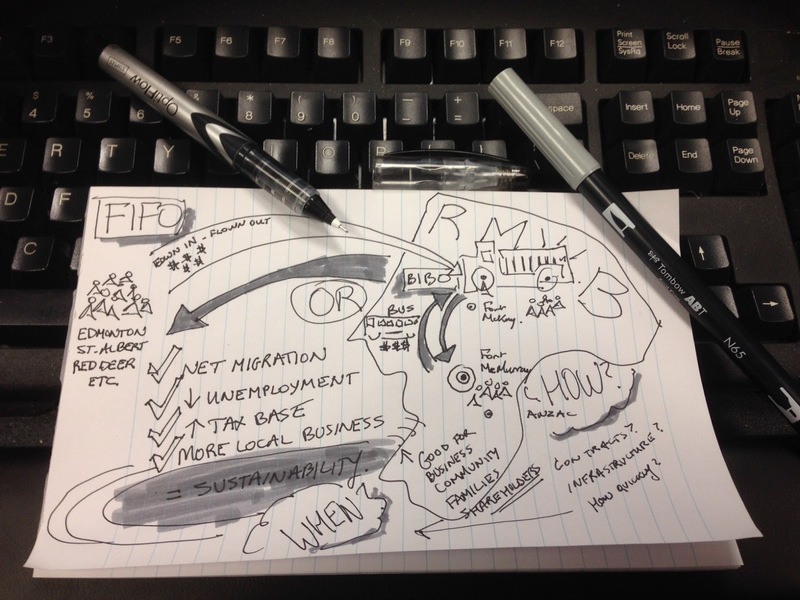 Workers have snapped up FIFO opportunities and are sustaining families in locations across Alberta and probably locations across Canada. In some cases, long time McMurrayites have pulled up stakes and moved to a larger centre to take advantage of FIFO wages and lower house prices. All of that said, something has to give if we're going to survive and thrive as a community. Thousands of jobs IN the region are out of reach for people who live here because of this current design, people who are ready, willing and able to do the work. It would be, and has been, a vastly different conversation if the workforce didn't exist locally. That is an eventuality that is worthy of discussion if industry comes to the table. What levers can be put in place to providing industry with a way of bringing in expertise and labour when the pool runs dry in the area? 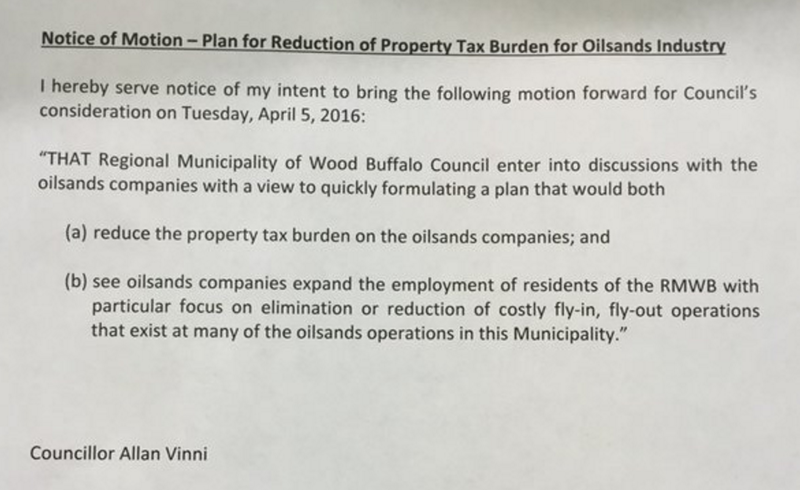 This motion represents an aspiration that we can do this better, that we can take care of people who have been laid off and are still here, and that we can make design changes that will truly make Wood Buffalo more sustainable and remarkable. Will it be easy? No chance. Will it be painless? Far from it. However, system change never is, easy or painless. At the very least, the conversation has ramped up, and the possibility of change is in the air. Let's collective cross our fingers and see what happens.